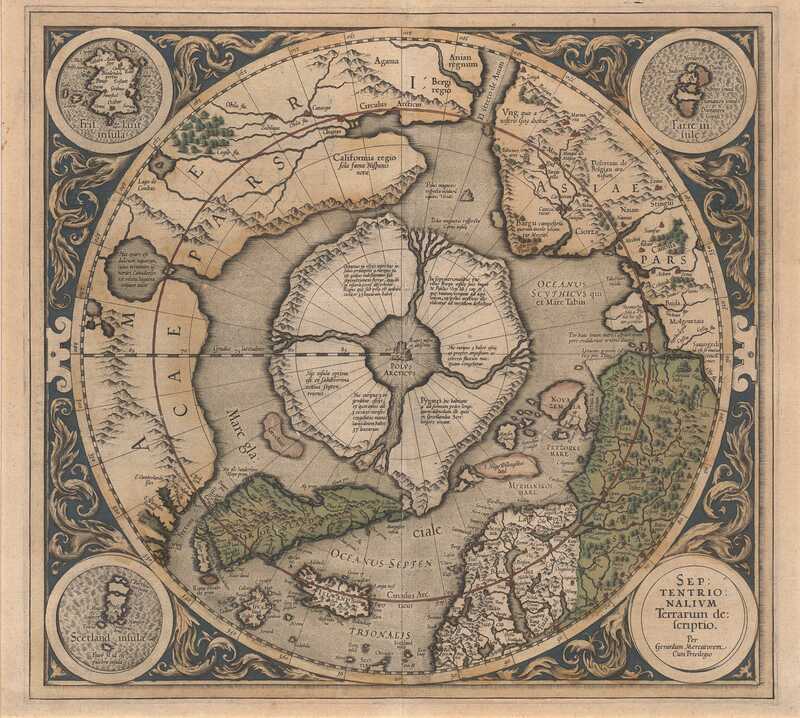 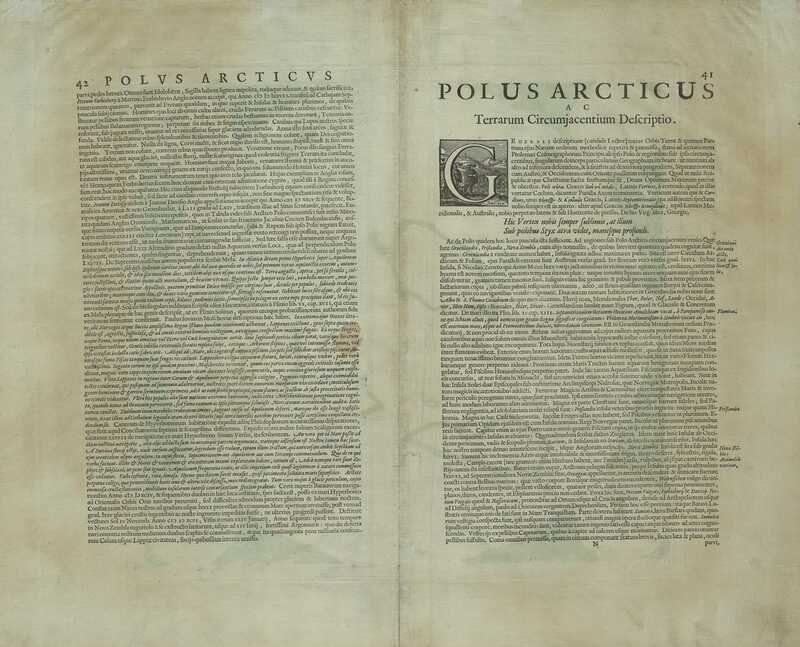 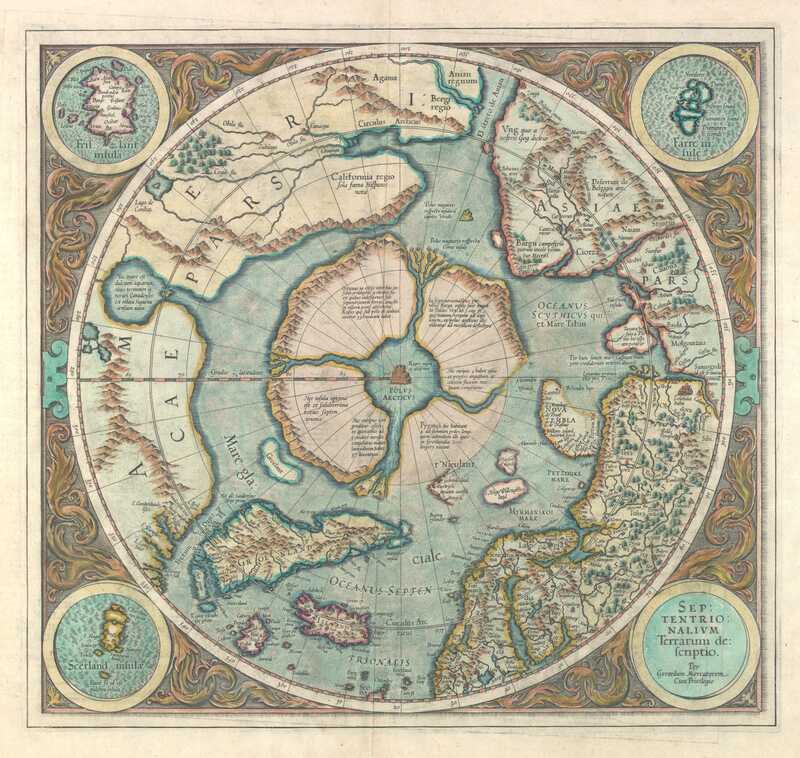 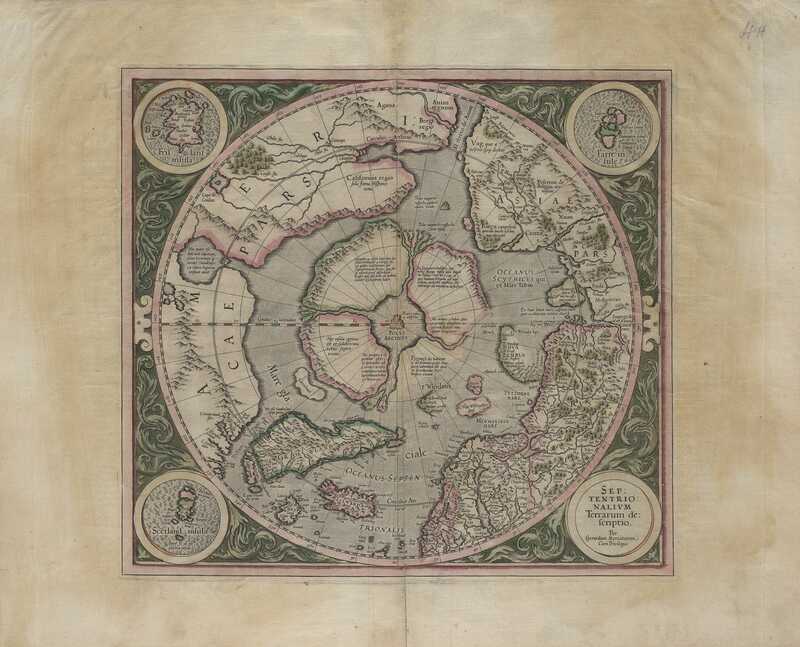 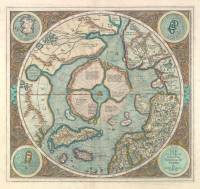 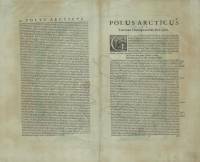 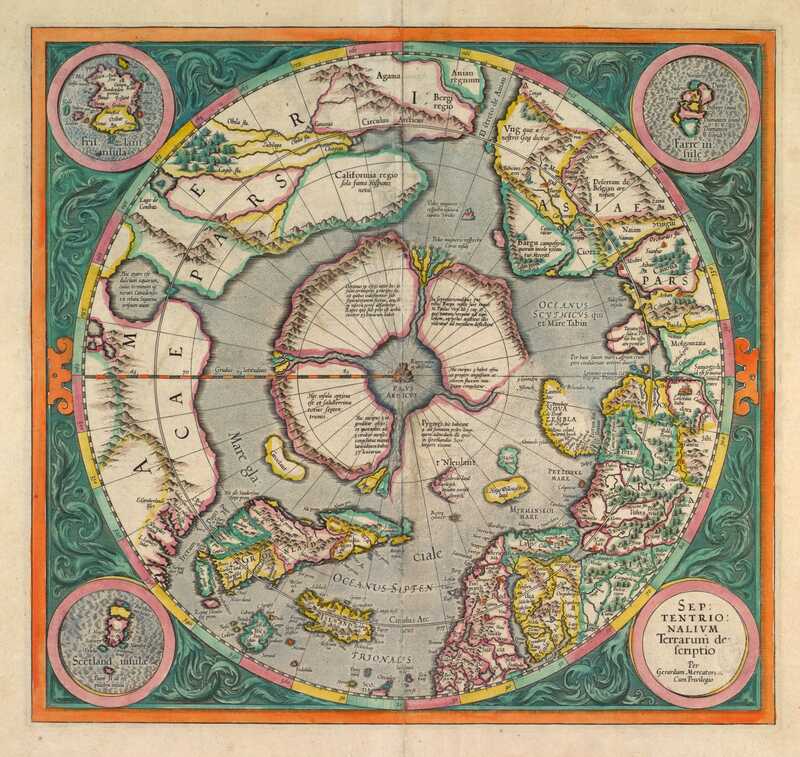 A map by Gerhard Mercator of the North Pole and the neighbouring countries from Atlas sive cosmographicæ. 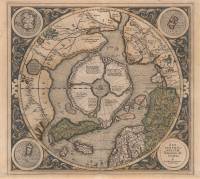 Iceland is small but we can see that it's drawn after the separate map of the country from the same book. 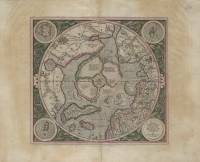 In three corners on the sheet there are special maps of the Faeroes, Frisland and the Shetland Islands.